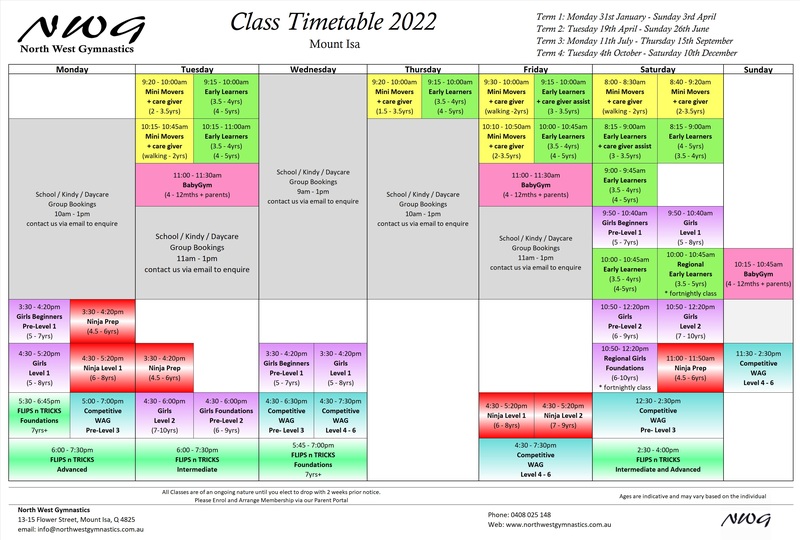 Classes commence on Tuesday the 23rd April 2019 and run through to Sunday the 30th June 2019. 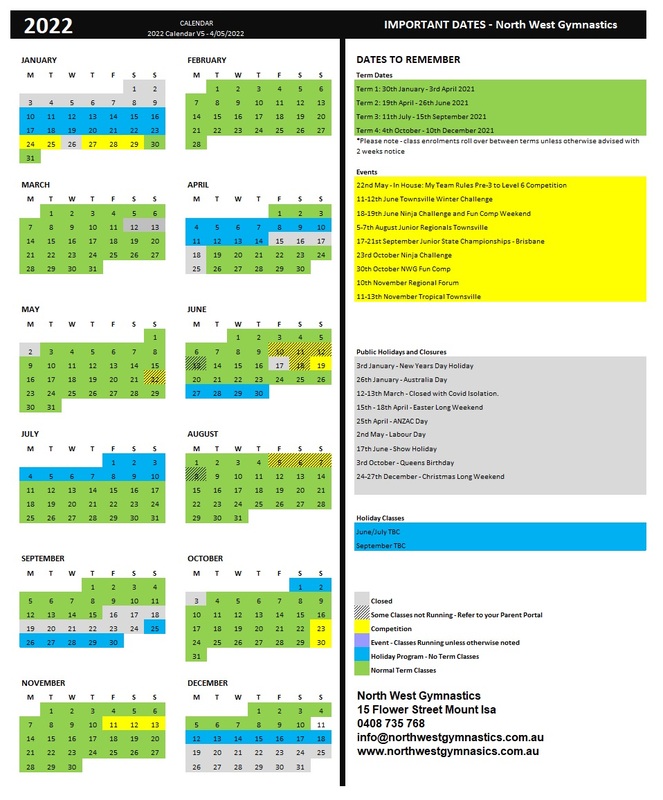 30th June – Last Day of Term 2. This event was posted in Classes, Event by North West Gymnastics.